By default, an email is sent out by the system when you first sign up. 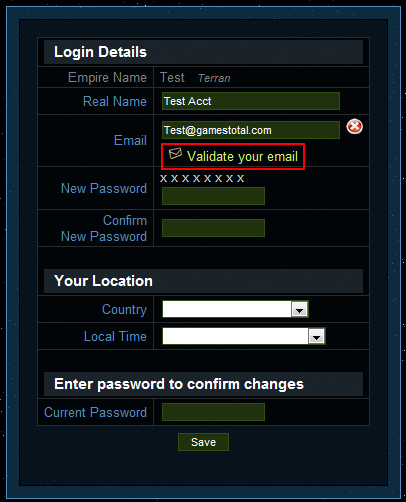 To validate your email, first go to options, and then access your game account options. Click on "Validate your email." You will be directed to this page below. 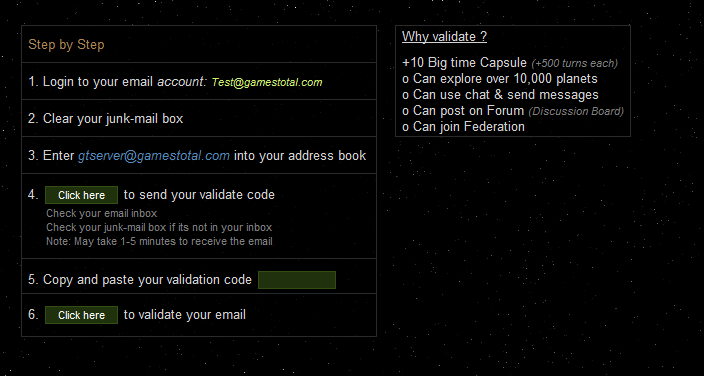 Enter the validation code which is sent to your inbox into the box and confirm the validation. If you do not receive any email from our server, you can opt to have your account manually validated. 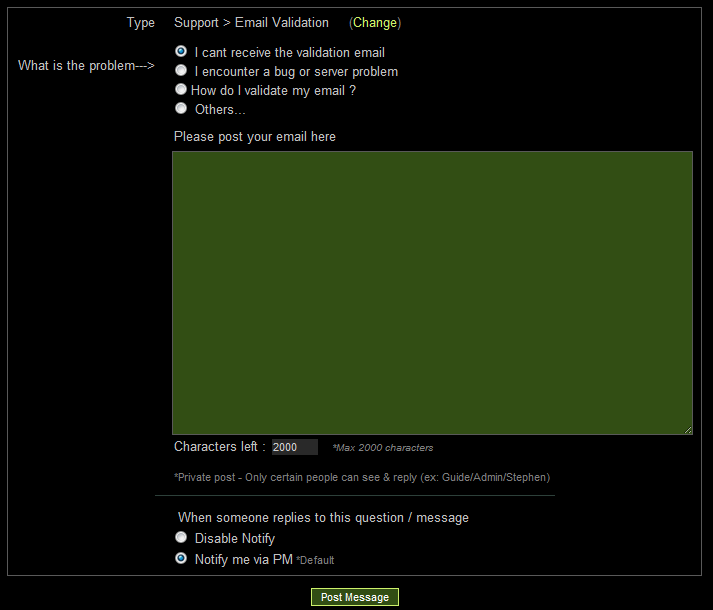 To do so, go to the Forums,click on Ask, and then Support > Email Validation. You should come to this page. Enter your email address into the message box and send the message. An admin or moderator will then manually validate your email within twenty-four hours.